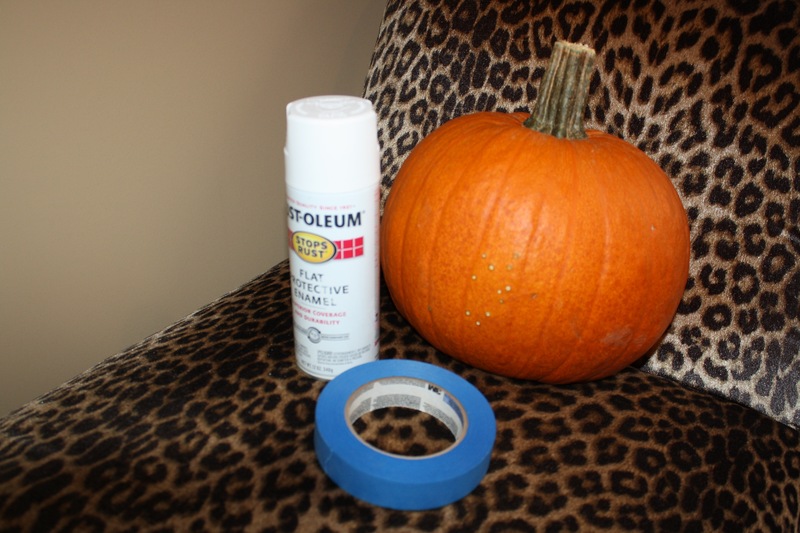 A New Twist on Pumpkin Decorating | mrs. and the misc. 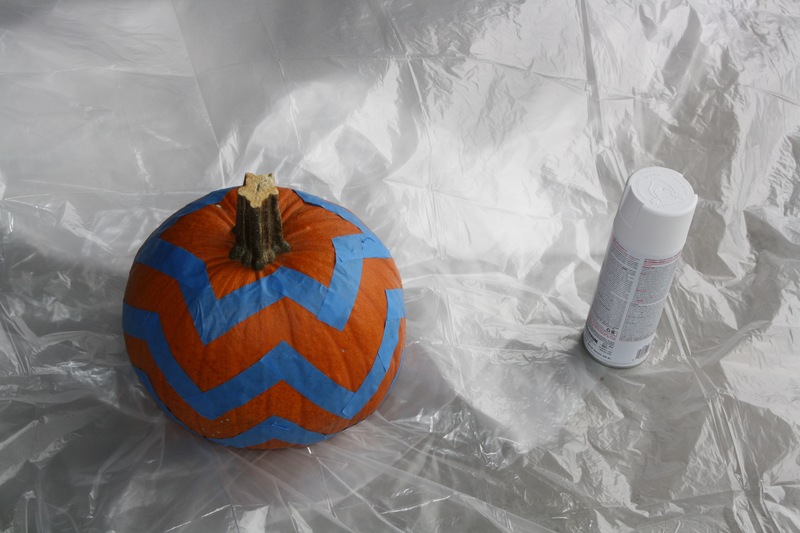 The tricky part is taping the pumpkin. It’s just trial and error. It took me about 10 minutes to figure it out. It should look something like this once it’s all taped up. Next you just spray paint it, let it dry and then remove the tape. Once you do that…voila! You can also just use an acrylic paint and a small brush and do some fun designs by hand. 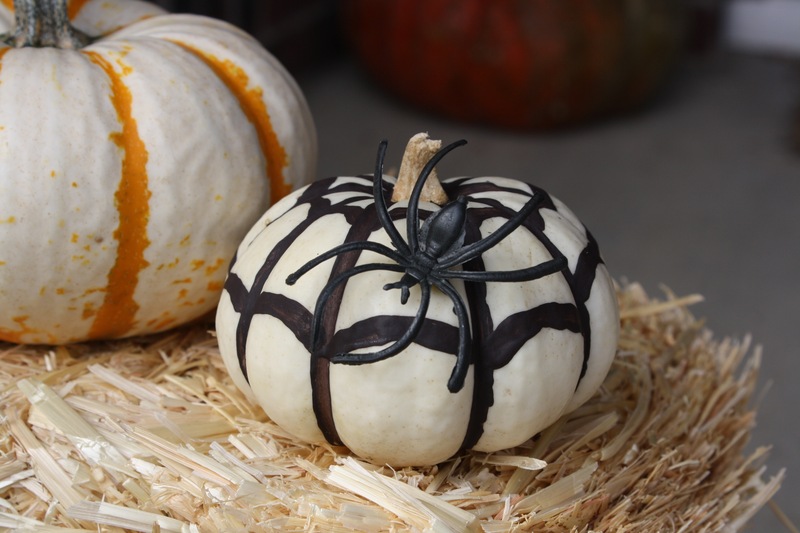 I love my little spider web pumpkin. I added a fake spider just for a fun effect. 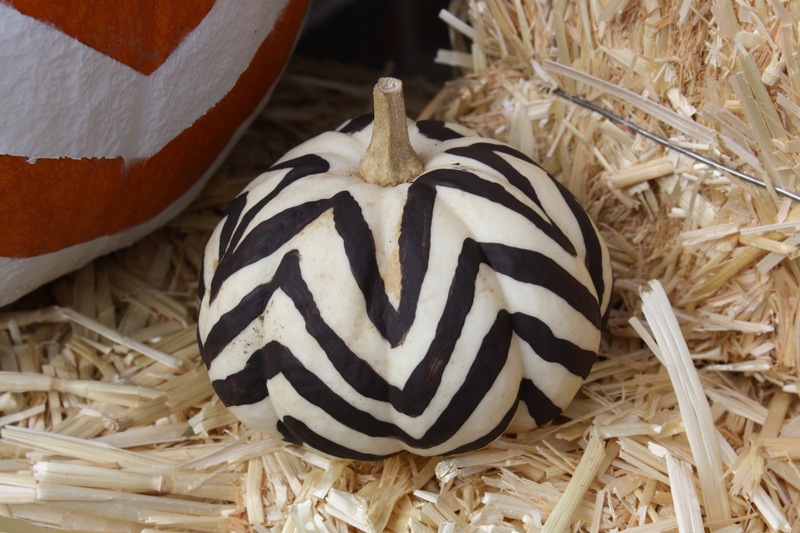 The lines aren’t perfect on my mini chevron pumpkin but it looks cute! 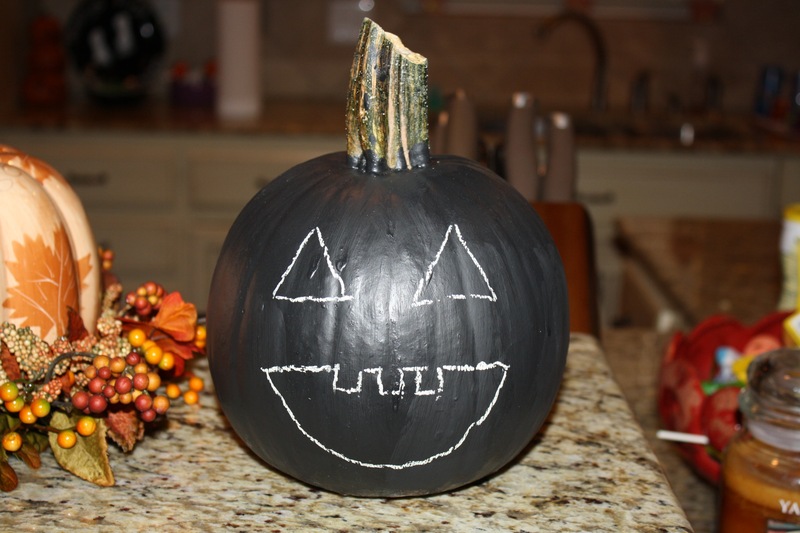 I had some left over chalkboard paint, so I thought “why not put chalkboard paint on a pumpkin?” This is an idea I recommend to all the momma’s reading the blog. Kid’s LOVE it! My son Presley loves writing on them. 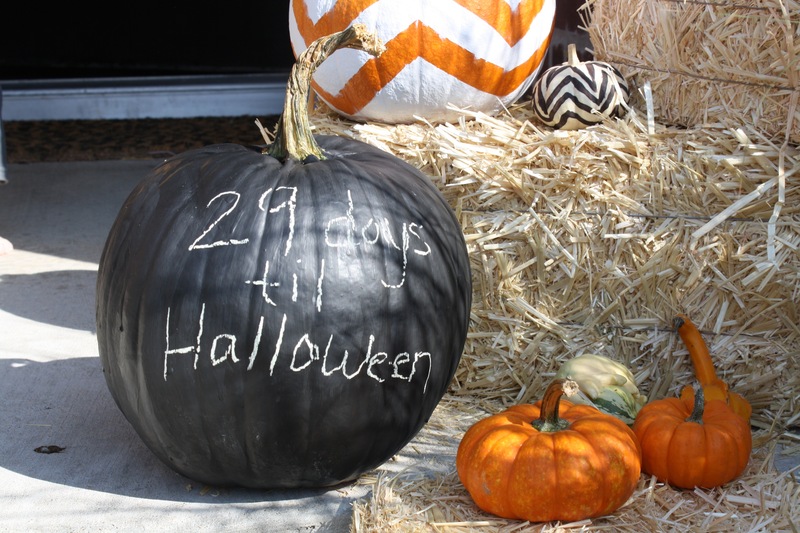 You can even set them out and do a countdown of the days until Halloween. Kids can draw faces on them time and time again. The ideas are endless. 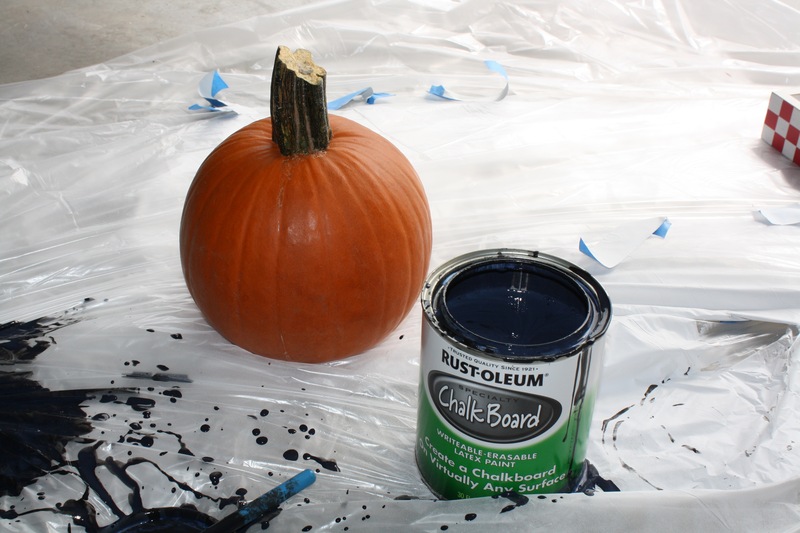 All you need is a pumpkin, chalkboard paint and some chalk! 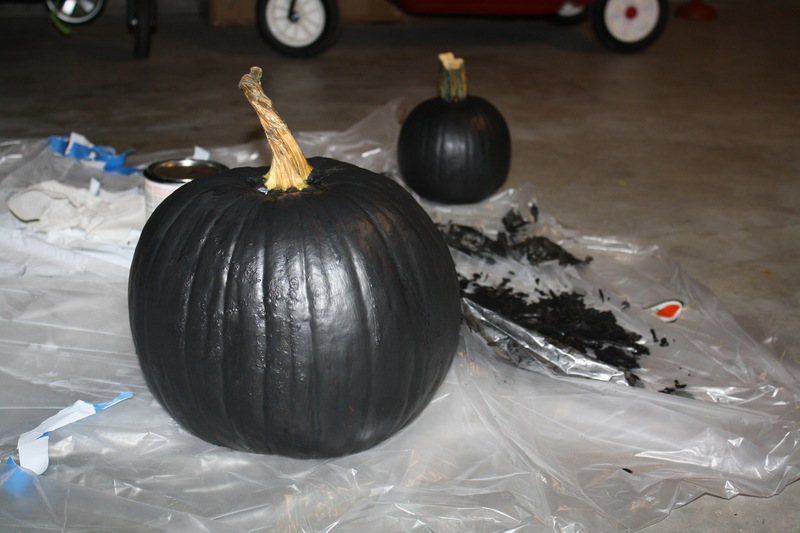 Once you paint the pumpkin just let it dry then let the kid’s go crazy! Of course it’s not Halloween without a pumpkin with a face. 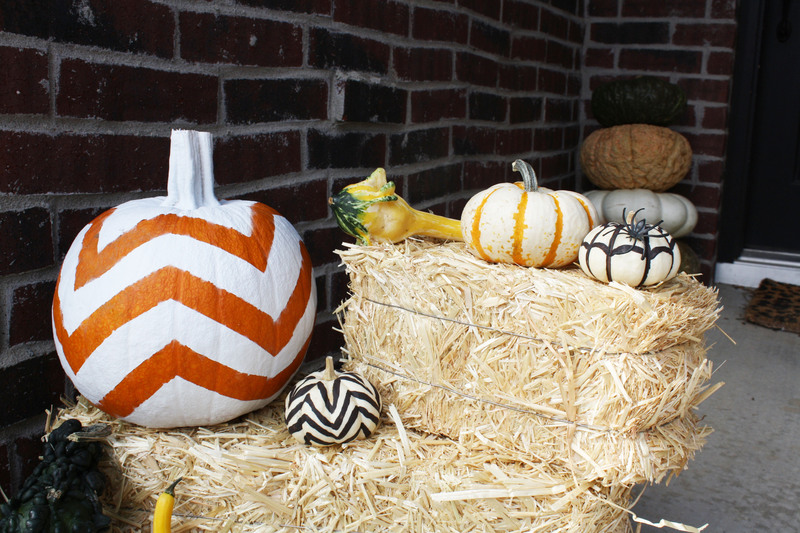 I hope this helped you if you’re in a rut trying to decide how to decorate your pumpkin’s this year! Thank you!! It was a fun project and my son likes it!